Whoa, I'm tired. This SCUBA diving is a lot of work! And our dives go for 70 minutes. This afternoon I decided to follow the schedule and not dive. Let's just say my head went down on the pillow and I'm not sure what happened until I got a wakeup call at 4:45 for the night dive. Here are my new nudi spottings. I also may try to add another page with pictures of other creatures I've shot this trip. I really like this guy. 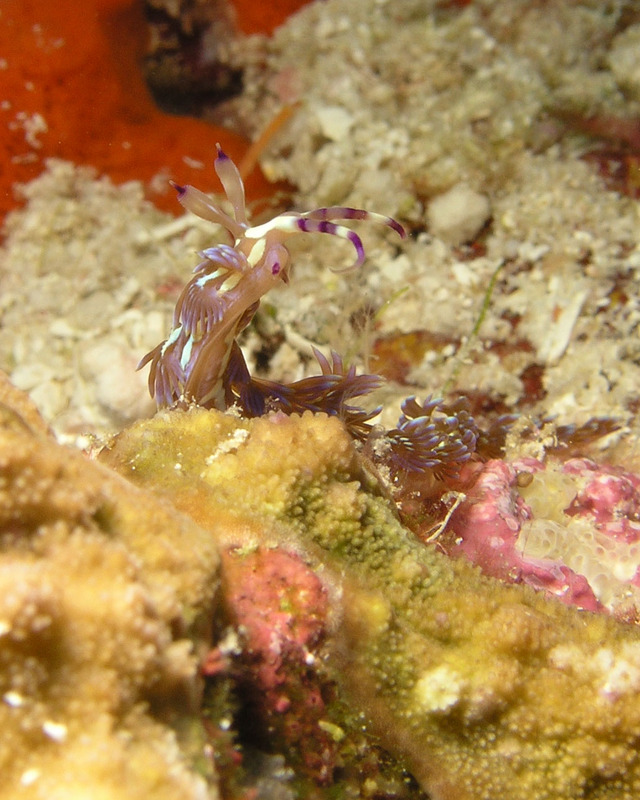 I found him on the house reef and took a few shots. Then after downloading my pictures, I noticed that on of the rhinophores has split into a Y shape. I've only seen that mutation once before. Pretty cool! 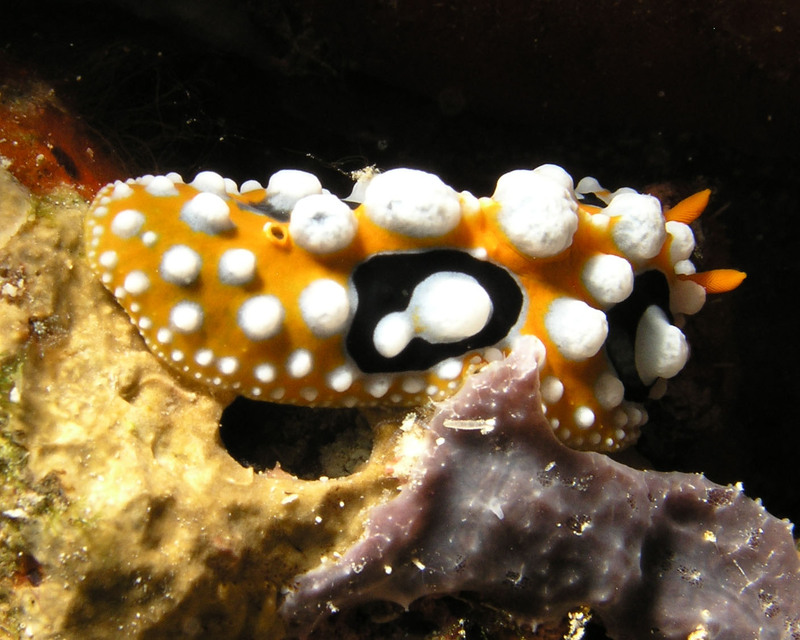 In Kona we often called this the Blue Dragon nudi. I must give credit to my dive buddy Craig for finding this one. 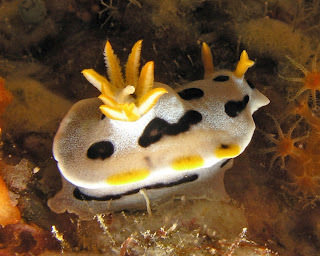 Although it is similar to the Phyllidia varicosa, it has black circles below the gills that make it a distinct species. I have to say, the other guests here are totally my peeps. 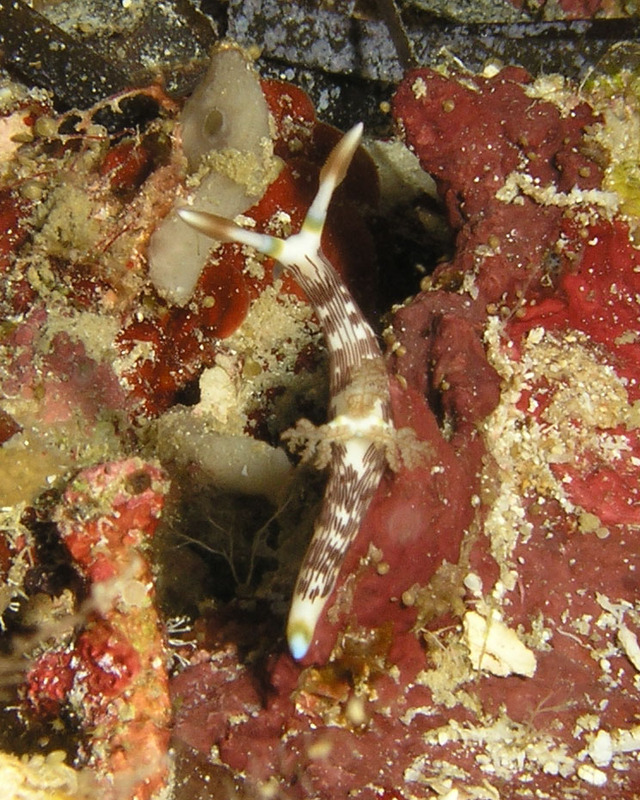 They have stories about all of their other dive trips. They also have very interesting lives and are from all over the world. We have a great time "talk story" over dinner. And speaking of dinner, HOLY COW. Every meal is an enormous spread! My friend Jamie used to say that her goal was to have her guests put on a kilo a day. I sure hope I'm not keeping that pace. They have sushi or sashimi here all the time. I think I'm in heaven.